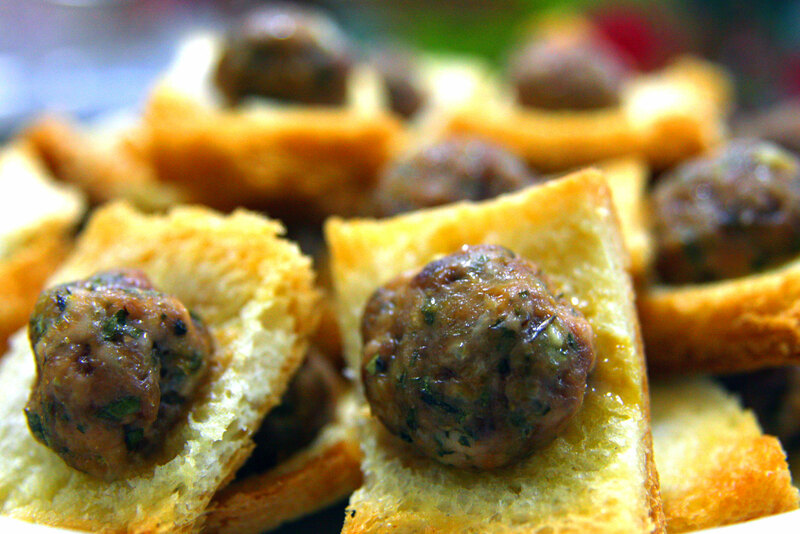 This is an incredibly simple snack to make but it tastes so good! 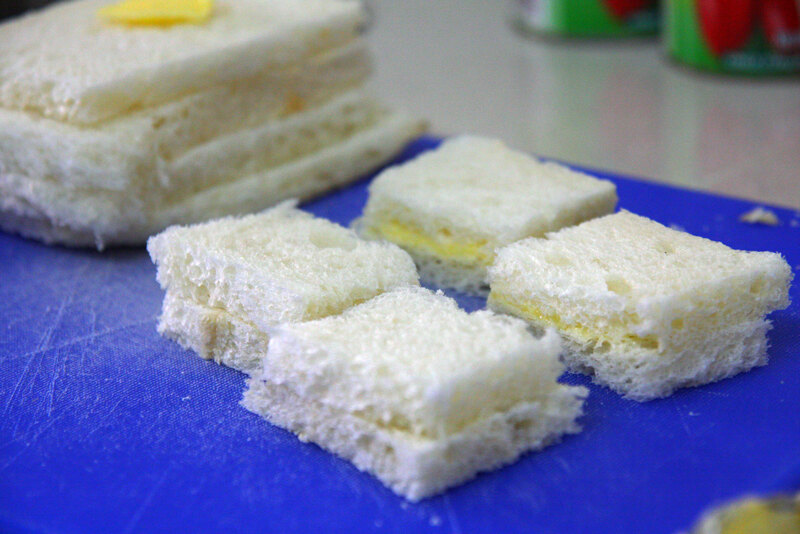 First you’ll need crustless bread slices that you cut up into smaller squares, then buttered. 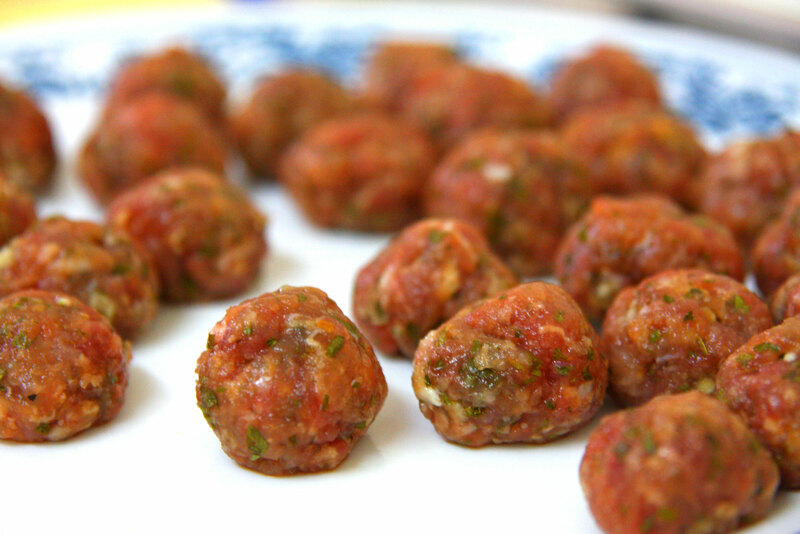 Next we make the meatballs. I used mostly pork and a bit of beef mince, mixed in parsley and thyme herbs, some breadcrumbs and a bit of finely chopped garlic. 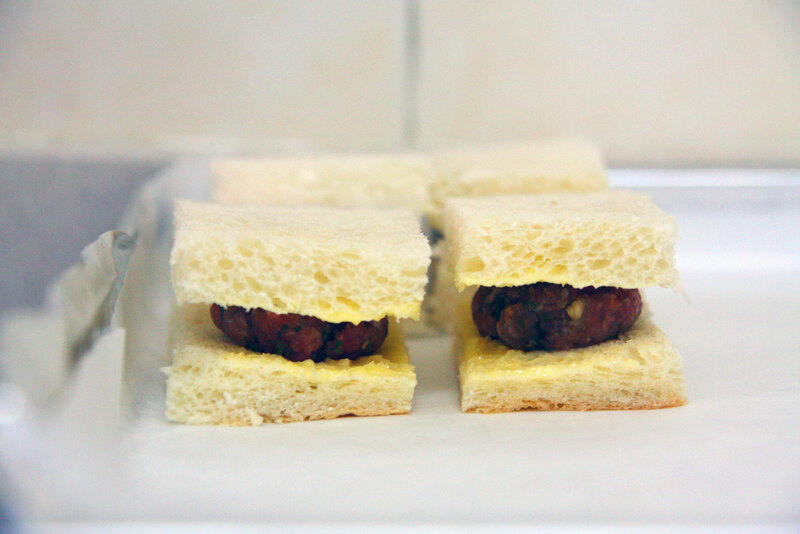 Then using the bread squares, we make mini meatball sandwiches and put them on a baking tray. Something I learned is that you should use much smaller squares as bigger bread squares like mine become too filling. In the photo below I changed to only using 1 side of bread because I ran out of bread squares!